California Gold Nutrition’s L-Glutamine is sourced exclusively from AJINOMOTO® and undergo multiple stages of Quality Control. Combine 1 level scoop (equivalent to approximately 5 grams ♦) of powder with 6-8 oz. of the liquid of your choice and drink on an empty stomach or as directed by your qualified healthcare professional or athletic trainer. For best results use a blender-type bottle or shaker cup. Consider combining L-Glutamine with our BCAA and drink before, during and immediately after exercise. 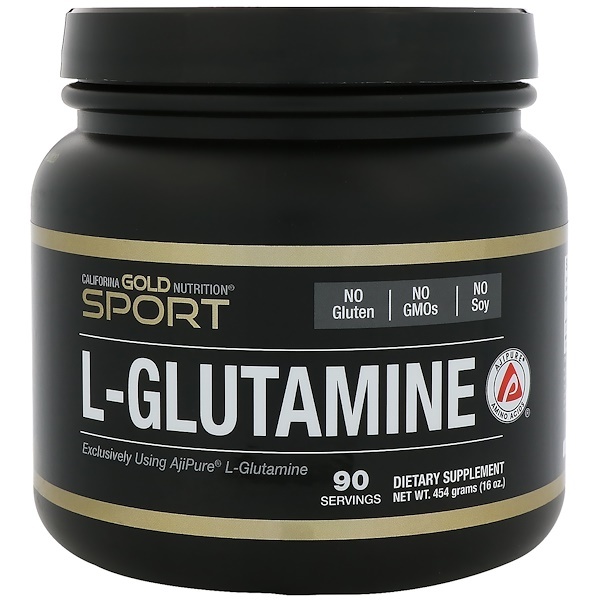 Our L-Glutamine Powder can be added to: Electrolyte/Hydration/Endurance Beverages, Protein Shakes, Meal Replacement Powders (MRP's), Weight Gainers or Smoothies. 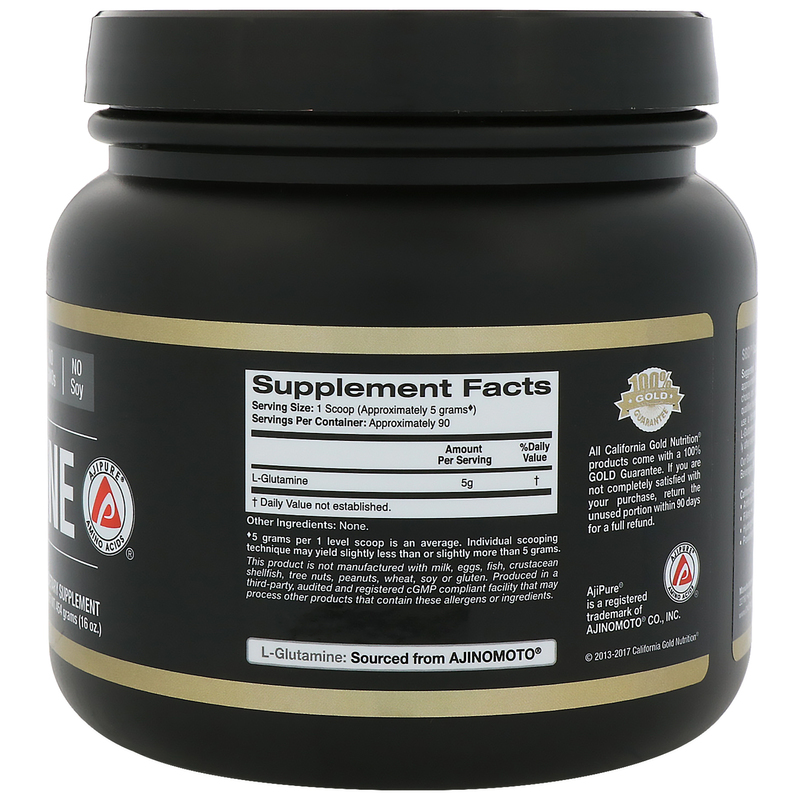 ♦ 5 grams per 1 level scoop is an average. Individual scooping technique may yield slightly less than or slightly more than 5 grams.